After the motorcycle itself and your helmet, choosing a motorcycle jacket is probably the most important consideration when preparing for safe riding. A jacket provides important protection in a crash, especially if you are sent skidding across the pavement. Without a strong protective barrier between your skin and the rough concrete, serious motorcycle accident injuries and permanent scars or disabilities can result. 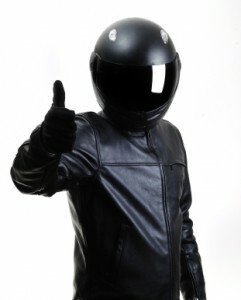 While heavy leather is traditional, many synthetic jackets made of materials like Kevlar will also hold up well in a crash. Although the black motorcycle jacket is a well-known fashion statement, bright colors and/or reflective strips will make you easier to see, helping motor vehicle drivers avoid hitting you – especially at night. A leather jacket should be at least one millimeter thick all over; synthetic jackets may be thinner, but should provide protection at least equal to a one-millimeter-thick leather jacket. If you choose a jacket with armored plates, make sure the plates fit correctly. Shoulder plates should sit on your shoulders, for example, not hang over the edge of them; plates on the biceps and forearms shouldn’t interfere with shoulder, elbow, or wrist movement. Vents in the jacket are not a necessity, but they can make you more comfortable on warm days, since they allow air to pass through the jacket and cool you down. At Tenn And Tenn, P.A. our New Hampshire motorcycle crash lawyers are dedicated to helping New Hampshire motorcyclists who are injured in motorcycle accidents caused by negligent drivers because our attorneys also ride. We understand the joy of riding, but also the tragedy that a serious accident brings. For a free telephone consultation about your New Hampshire motorcycle injury, call us today at (603) 624-3700.